A total of 3,700 chemist outlets will open in Odisha this year, minister of state Petroleum and Natural Gas Dharmendra Pradhan announced on Saturday. 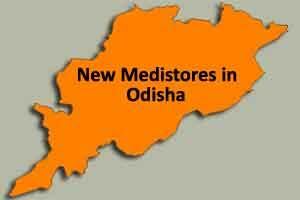 “Keeping in mind the health situation of Odisha, it has been decided that a total of 3,700 new chemist outlets will be opened across the state,” said Pradhan. He made the statement during the launch of India’s first Rota virus vaccine here by Health Minister J.P. Nadda. Rota is a highly contagious virus that infects majority of children before their first birthday. It is most common cause of severe diarrhoea among children. Currently, 9.2 percent of Odisha’s total disease burden consists of diarrhoea caused due to Rota virus. The infant mortality rate of the state stands at 51 per 1000 live births while the mortality rate of children under five years stands at 68 per 1000 births, both much higher from the other states where the vaccine was launched in the first phase on Saturday. The other states include Andhra Pradesh, Haryana and Himachal Pradesh.